The Sizzling Stick is an Edmonton, AB based food truck bringing the vibrant flavours of Singapore and East Asia to our streets. We are satay redefined. 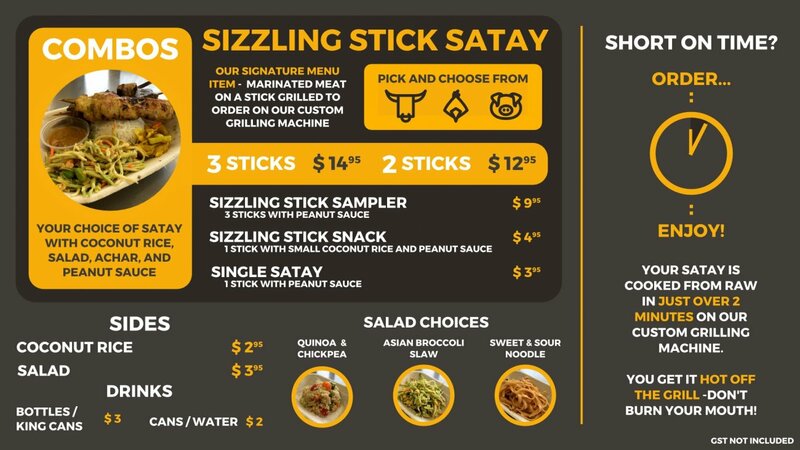 We want to bring flavourful, freshly grilled satay that captures the vibrant flavours of Singapore to our customers. To accompany and complement the savoury satay is our home brewed peanut sauce, coconut rice, and a variety of salads that reflect the unique and bright tastes of East Asia. The modern Indonesian and Malay spelling of sate, is a dish of seasoned, skewered and grilled meat, served with a sauce. Satay may consist of diced or sliced chicken, goat, mutton, beef, pork, fish, other meats; the more authentic version uses skewers from the midrib of the coconut palm frond, although bamboo skewers are often used. These are then grilled or barbecued over a wood or charcoal fire and served with various spicy seasonings. In Singapore and Malaysia, satay is a popular dish. It is often served with a peanut sauce along with pieces of cucumber, onion, pineapple and rice. * We are also available for catering. Please contact us for more information. Where the truck is there also will the satay be! We are now rolling for the new season so come grab some sizzling hot and tasty food. Check our website to see our times and locations of service. Some food truck ‘foodies’ are there for the food more than for our magnetic personalities. Apparently, standing a long time in a line with people you’ve never seen before while searching your pockets for cash to pay does not appeal to everyone. But that’s ok, we just want to feed you. If you want things easier, have we got a game-changer! One of our partners, David, is developing a Sizzling Stick app for iPhone and Android users, which will allow you to keep up in real time with where the truck is located at during service hours, order directly from the app and skip the line, as well as possibly find some secret, special offers! see how the apps aren’t ready yet. In the meantime, check out some of our app screenshots! We know staying connected is important to you–that’s why we worked hard to find ways to let you follow us, without literally needing to run behind the truck. 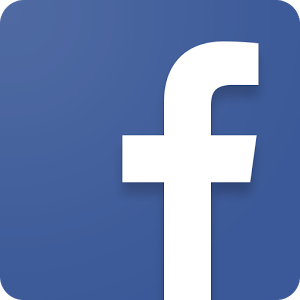 Like and follow us for live updates, surprises, and more!